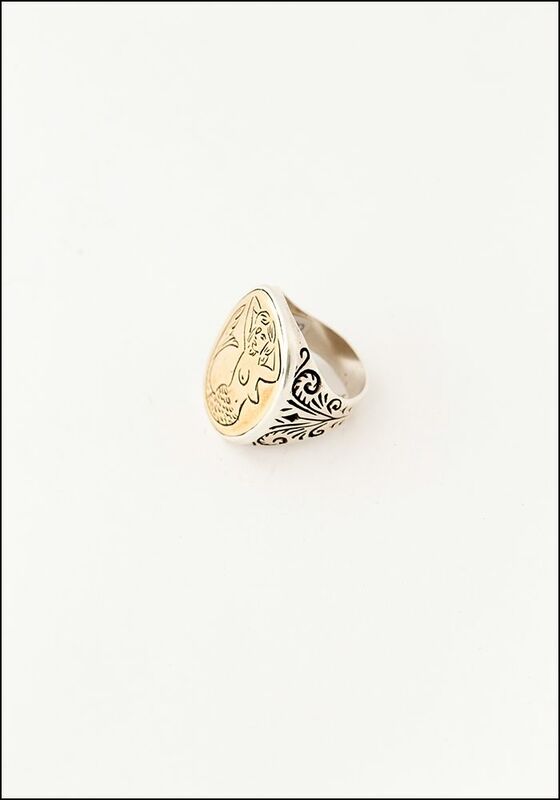 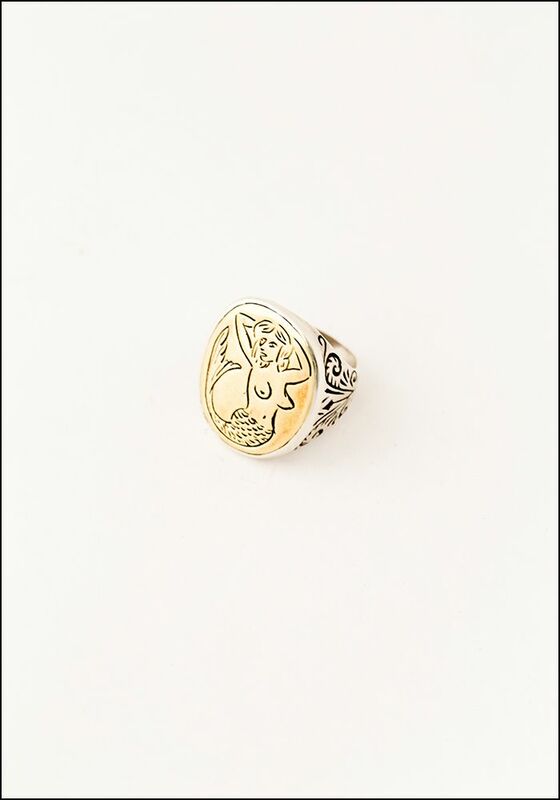 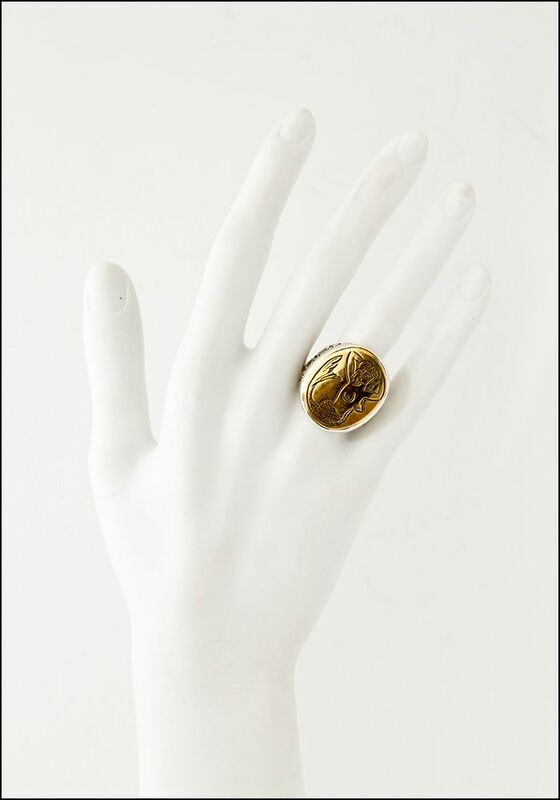 Give yourself your own little lady of the water with this hand-carved mermaid signet ring. 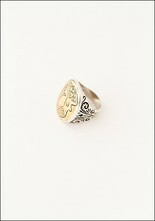 Cast from pure brass, it is meant to be worn again and again. > Ring face width: 1". 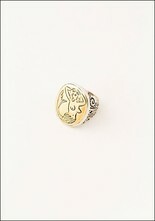 Shank width: .25".